Tracy's Notebook of Style: NEW Target $7 ($24 value) -Baby Box Available! 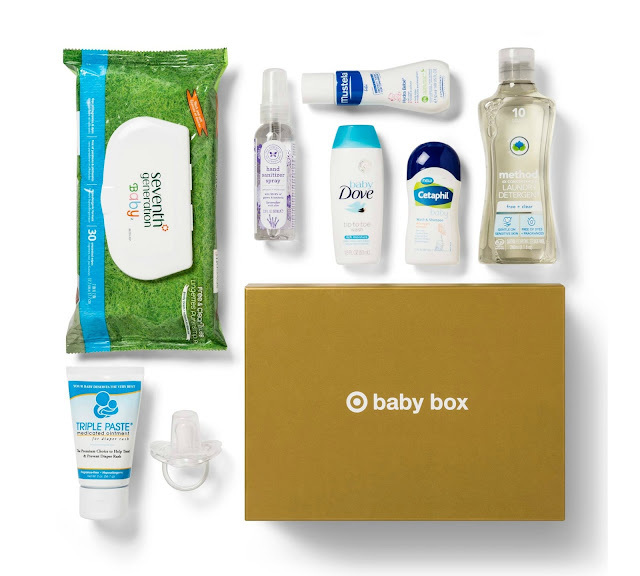 NEW Target $7 ($24 value) -Baby Box Available! Baby must-haves. Products you didn’t know you couldn’t live without. The best of all things Baby. This super-cute box has a little bit of everything, from shampoo to wipes to lotions that help you care for your little one. There’s even a little something for you. Let’s call it well-deserved pampering. So enjoy these samples (over $24 in value); if you like them as much as we do, you can find the full-size versions at Target and Target.com. So clever that they finally came out with a baby box - perfect for a new mom gift! It is good to take a moment to read such an article. Nordstrom Anniversary SALE Favorites under $32! Target $7 July Beauty Box is Here!! !